Sheer shadings, such as the Silhouettes, feature soft adjustable fabric vanes that appear to be floating between two sheer fabric panels that beautifully diffuse harsh sunlight. These are a definite favorite shade. It combines the ability to tilt the vanes for privacy and light control, gives you the ability to see through from the inside while offering privacy from onlookers and rolls up into a matching fabric cassette head rail for a low profile. They also offer UV blockage along with insulation abilities. 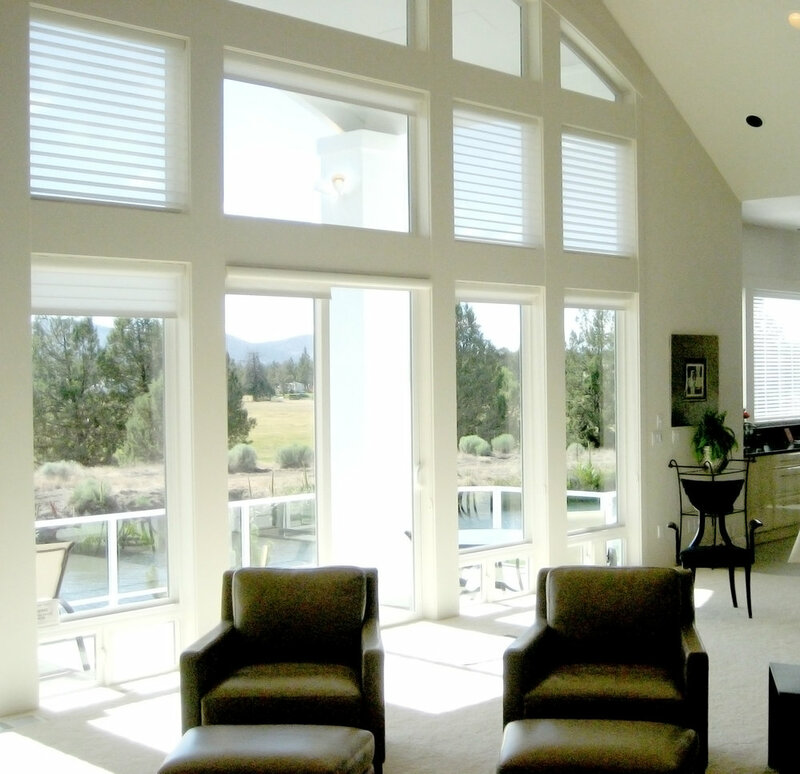 Simply tilt the vanes with your choice of lift options to achieve your desired level of light and privacy. A room clothed in Silhouettes is soft, warm and inviting and creates that wow factor upon entering.